Strike King has done it again! The 8XD is a real 20 footer that you can throw on standard cranking gear. The Strike King 8XD weighs in at 1.3oz and a length of 5.5 inches. 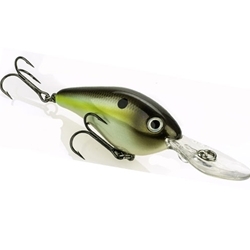 These baits were designed by the pros and feature 3D eyes, free floating rattles, and a chip proof paint.